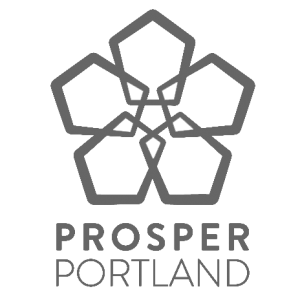 Portland, Ore. – November 30, 2015 – Alberta Main Street received a $15,000 grant from The William G. Gilmore Fund of The Oregon Community Foundation to fund Equitable Alberta Street. The grant will expand Alberta Main Street’s capacity to address issues related to equity, diversity, and inclusion on and around NE Alberta Street. Alberta Main Street is a nonprofit community and economic development organization that engages residents, small business and commercial property owners to seek community-based solutions to challenges by leveraging the resources within the community. Founded in 2010, Alberta Main Street advances efforts to develop Alberta Street as a vibrant, creative, equitable, and sustainable commercial district serving residents and visitors to our community. The funding will be used to hire a part-time Equity and Engagement Coordinator. The to-be-hired professional will lead efforts and coordinate activities to grow diverse leadership and volunteer base, conduct outreach, and expand social and economic opportunities for underserved stakeholders. Oregon Community FoundationThe Oregon Community Foundation, established in 1973, manages charitable funds donated by individuals, families, and businesses that that support the community causes they care about. Today, the Foundation’s endowment consists of over 1,900 funds with combined assets of over $1.5 billion. The Oregon Community Foundation’s mission is to improve life in Oregon and promote effective philanthropy. Alberta Main Street is accepting contributions to fully fund the Equitable Alberta Street project. For more information about how you can support their efforts, please visit albertamainst.org.